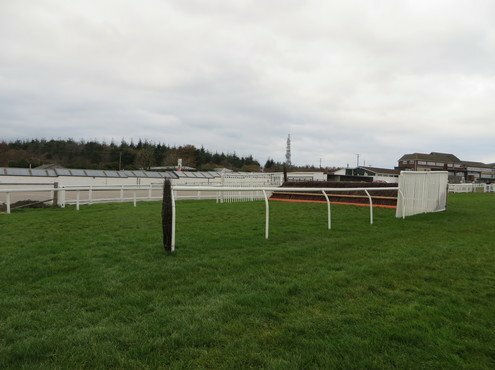 Jane Carley discusses the pioneering work being undertaken with padded hurdles at Exeter Racecourse with Clerk of the Course Barry Johnson and Head Groundsman Martin O'Hagan. So successful have they been, they have also been introduced into Wincanton Racecourse. But, as she discovers, there is much more going on at this West Country track. Whilst epitomising the traditional spirit of jumps racing with its heathland track and cosy atmosphere, the team at Exeter Racecourse are not afraid to pioneer new ideas. Although the full archives were lost when the town was hit by the Blitz, surviving records chart horseracing in Exeter back to the 1660s. 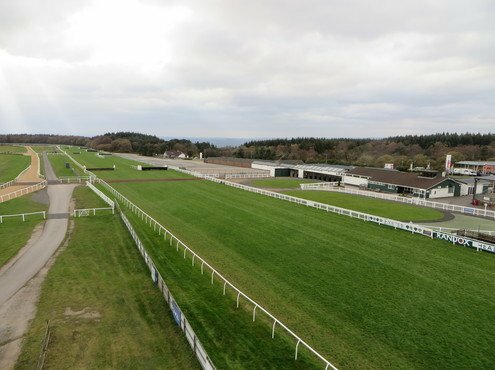 The current racecourse at Kennford, on the busy holiday route to Plymouth and beyond to south Cornwall, celebrates its 250th anniversary next year. The exacting ground standards for modern racing have shifted the programme away from summer to an October to May calendar, with seventeen all-jumps meetings per season. Exeter is considered by trainers as an ideal education for talented young horses, as a good 'galloping track' where most of the fences have an uphill approach. The flagship Haldon Gold Cup has a roll call of winners including Cue Card, Best Mate and Politologue, whilst the great Kauto Star suffered a rare defeat in the race. While most racegoers are dedicated jumps racing fans, family days play an increasingly important role, with November's Sunday meeting even featuring a novelty race for Clydesdale heavy horses. 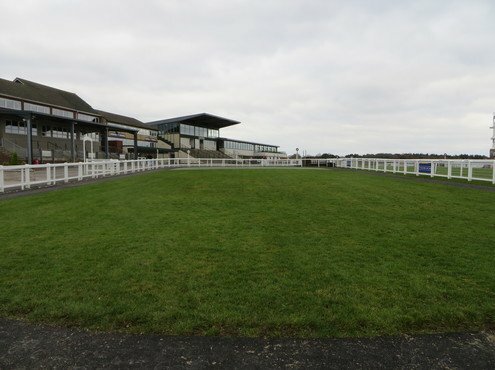 "The area is heathland, and the course was constructed on peaty soil over stone and flint," explains Clerk of the Course Barry Johnson, who is in his 38th year at Exeter and also oversees Wincanton. "The track drains really well, but the peaty nature of the soil means that the surface breaks up easily, so we have to manage it carefully." This involves moving rail to fresh ground after every second meeting, whilst judicious infilling and ground improvements are key, says head groundsman Martin O'Hagan. "We have refurbished all the take-offs and landings in recent years, and use a sand and soil/peat divot mix to give a firmer base. In winter, the mix is 30% soil and 70% sand, whereas in spring it is 50/50. We've also drained wetter areas to get the water off the course and into the ditches." 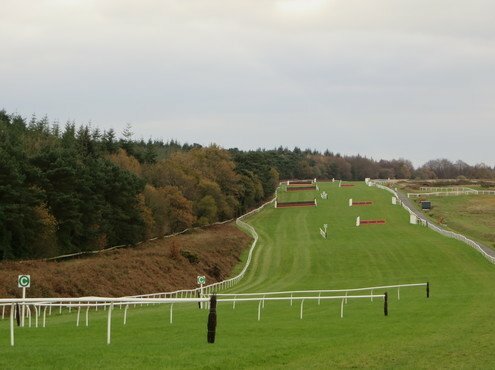 The move away from summer racing has also offered more flexibility, Barry explains: "We used to have a summer hurdle course on the inside, chase fences in the middle and winter hurdle course on the outside, but the chase fences have now been moved to the outside, which gives double the width for moving the hurdles across onto fresh ground." Extreme weather conditions in 2018 caused a few headaches - first a meeting was lost in January when an inch of rain fell in twenty-four hours, then repeated light snow falls in the run up to racedays cost two more fixtures in March. To add insult to injury, an October meeting was lost due to hard ground! "There is no irrigation system as such," comments Barry. "We can water with a bowser, but it would have taken a lot of water to cover all 35 acres." After the final meeting of the season in May, attention turns to renovation, with the first job being to renew six of the eleven chase fences each year. "A percentage of the birch is sourced from local National Trust land which is managed for ground nesting birds," explains Martin. "We cut and collect it, rather than having to purchase from outside sources." Cleaning the miles and miles of Gilling rail is another task, whilst the summer of 2018 also saw the team install new woodchip canter downs with a further three furlongs to be added in 2019. "We'll have any drainage work done at this time, and a 2019 project is to get contractors in to re-rubberise the parade ring surface," he comments. 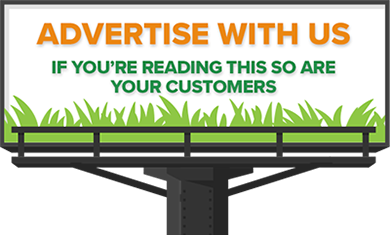 Maintaining grassed areas and spreading fertiliser - sourced from a local agricultural merchant - continues through the summer, whilst there are also staff holidays to fit in. Mowing is carried out with a 5m Progressive tri-deck mower, which can take eight hours for the full course. Infield areas, both grassed and heathland, also have to be taken care of. "Through Jockey Club Racecourses agreement with John Deere, we have a 6090MC tractor which is used for the mower and a 5080R fitted with a loader, plus a 1445 WAM and X950R ride-on for mowing around fences and in public areas," comments Martin. 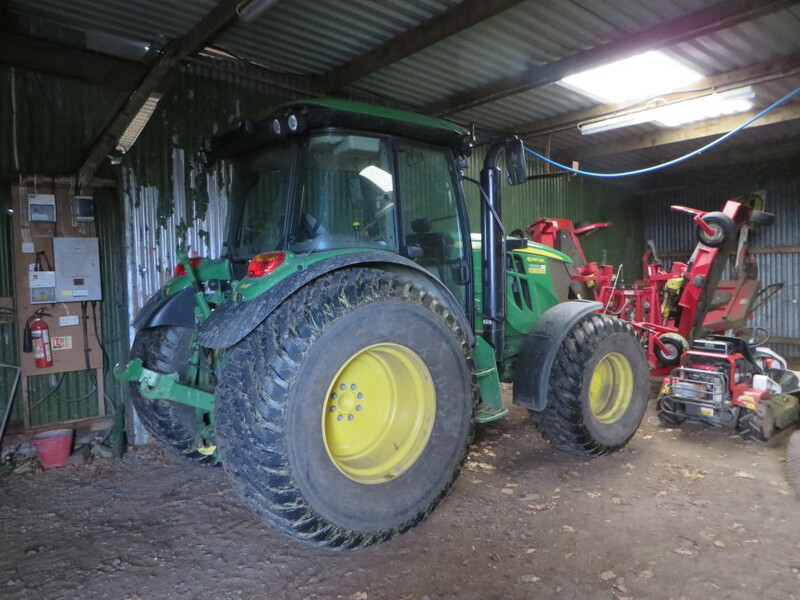 "The tractors are on a lease which means we can renew them every five years and keep the fleet up to date." A new purchase for this year is a Verti-Drain 7521 decompactor. "We've previously hired a machine in but this gives us more flexibility - we will Verti-Drain the whole course at the beginning and end of the season, and can treat specific areas as needed. We also have a slitter, but I prefer to Verti-Drain as it is more effective." Overseeding is a vital part of the repair process, and Barenbrug has supplied a perennial ryegrass mix of 30% Barcristalla, 20% Bareuro, 30% Barlibro and 20% Copeland to offer winter recovery. "These varieties will germinate at 4-5 degrees centigrade, so we can use the mix all year if it stays mild," says Martin. Agronomist Mick Fuller also visits three times a year to advise on soil health. 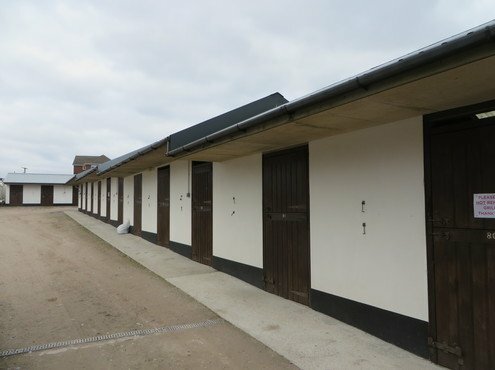 There are eighty-nine stables with good facilities, including a dedicated horse washdown area; the compact nature of the course means a short walk from the stables to saddling boxes and parade ring. 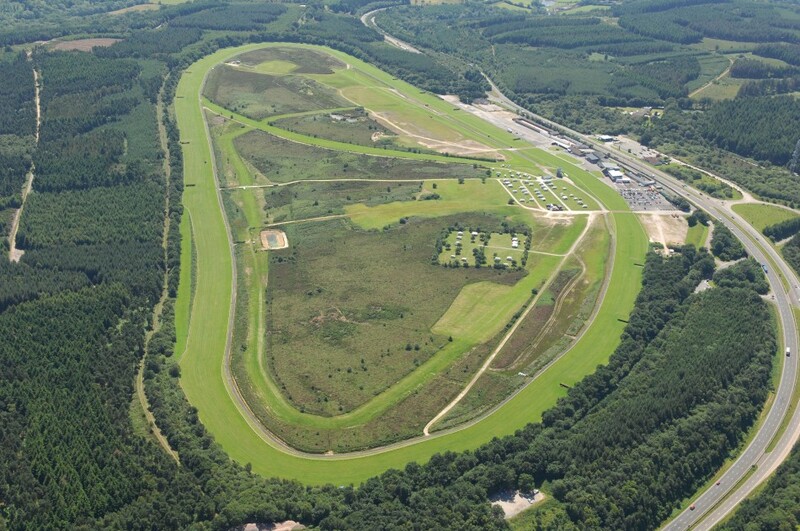 A portion of the centre course is leased to the Caravan Club, providing 103 serviced pitches, managed by the club. Attention has been paid to improving the raceday experience for even the hardiest of supporters: the owners' and trainers' restaurant was doubled in size in 2018, with a new panoramic viewing area; the former tote building converted to offer more undercover viewing and refreshments and hospitality areas refurbished to plush standards. With its location on a major trunk road, conference business is an important revenue stream and facility developments have to be flexible enough to accommodate non-racing bookings. 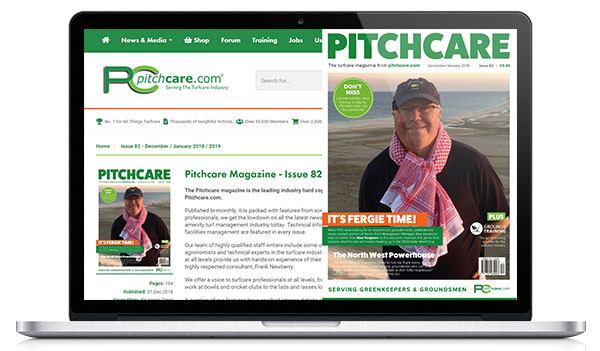 Martin and his team of four groundstaff are kept occupied year-round with racing fixtures, and keeping the public areas spick and span for conferences and grassed areas tidy for events such as scout camps. Stable manager Neil Lumsden, who has been at the track for twelve years, also looks after the parade ring, while Simon Stead, of similar long-standing, has been joined by Matt Johnson and Scott Butler on the track, who are undergoing groundsmanship training. On racedays, they are assisted by fifty casuals, who help with fences, treading in etc., and twenty-two contractors from Turf Services come in the following day for repairs. Never a dull moment at the heart of jump racing. 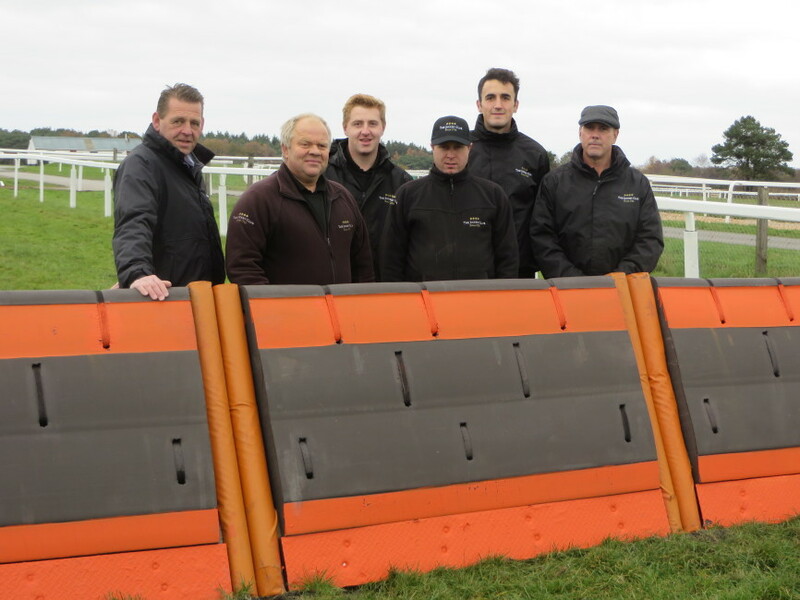 Exeter has pioneered the use of padded hurdles, designed to reduce the risk of horse injuries and, after two seasons' successful use, Barry has also introduced them at Wincanton. The design uses a frame similar to a traditional wooden and birch hurdle, but replaces the birch with a high density foam pad. 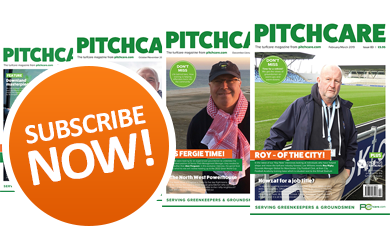 "They are lighter, so are much easier for the groundstaff to handle and manoeuvre and the design resists damage," explains Barry. "If a horse hits the top rail of a traditional hurdle it tends to break off and the remaining structure can cause injuries to following horses. We would typically have twenty-five broken hurdles at the end of each raceday; now it is five or six." If the hurdle is hit, the pad tends to spread the shock and it is less likely to fall over, further increasing safety for horses at the back of the field. The black pad has a slightly different appearance to the birch but Barry comments that while horses may 'step' at the hurdle initially, they soon get used to it. 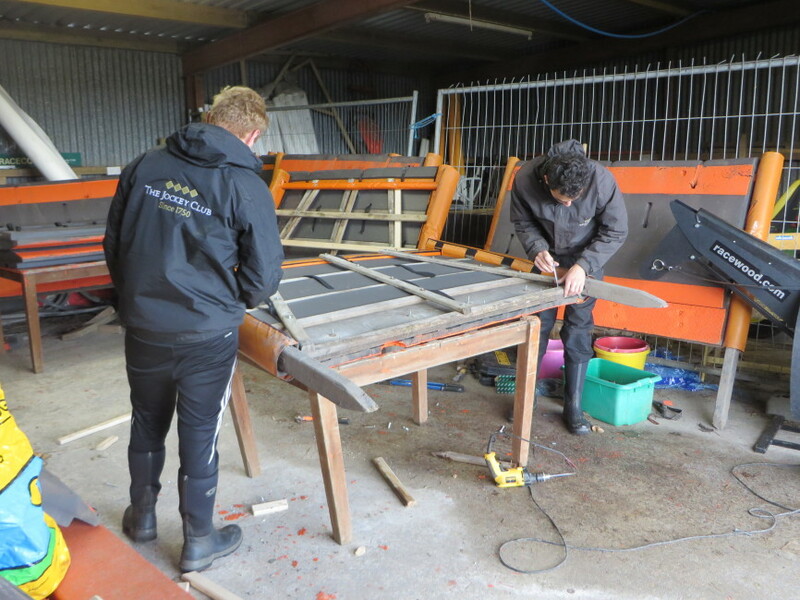 "We buy twenty new pads a year, and we are now making worn pads available to trainers for building practice fences at their own yards so they can train over them before coming to the racecourse." 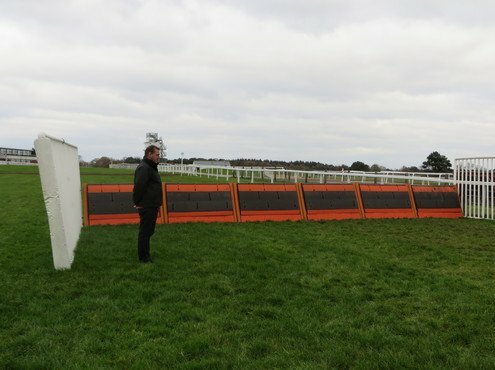 Investment in the costly new hurdles was carefully planned - reusing old hurdles in the year before purchase saved some of the £5,000 annual budget, which was added to that year's sum, while the Jockey Club funded a further £12,000. "In addition to improving safety, we are seeing cost savings," explains Barry. "We now have a quarter of the repairs to do after each raceday - it could take two men a week to repair the hurdles, now it can be completed in a day."